This R. D. Blackmore novel unfolds in a small country village in Devonshire. Whereas Blackmore’s more famous novel, Lorna Doone, takes place on the haunting, wild moors (with a forbidden romance to match) Perlycross presents ordinary civilization – the everyday lives of townspeople in a country parish, and, more specifically, how ordinary people are affected by extraordinary events. Blackmore’s portrayal of small-town life is somewhat typical: gossip, rumours, the token idiosyncratic small-town characters, the endearing provincialism of country folk. Cranford fans will enjoy Perlycross; it offers more of the same. And yet a gothic thread does weave through Perlycross. People living ordinary lives become immediately fascinating when the scandalously macabre descends upon them, upending the little knitting clubs, choir practices, butter churning and other commonplace activities characteristic to 19th century country living. The Christian themes the novel concerns itself with include, firstly, how characters hold on to (or lose) their faith in times of calamity and doubt and secondly, the way they treat their fellow brethren in the midst of suspicion and superstition. The curate of Perlycross, Reverend Penniloe, the only noble Christian of the novel, chooses to persist in believing that all these trials are for their benefit, and that all things will work out for the good for those who trust in God. His quiet, meek faith in times of seemingly meaningless tribulations and endlessly frustrating obstacles Blackmore extols for our example. 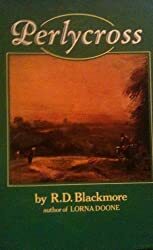 Blackmore largely drew on his childhood for Perlycross (the place he grew up) and it is also his favourite novel, despite the eclipsing success of Lorna Doone. This book is also out of print, so curious readers will only be able to find used copies (try The Advanced Book Exchange) or ebooks.